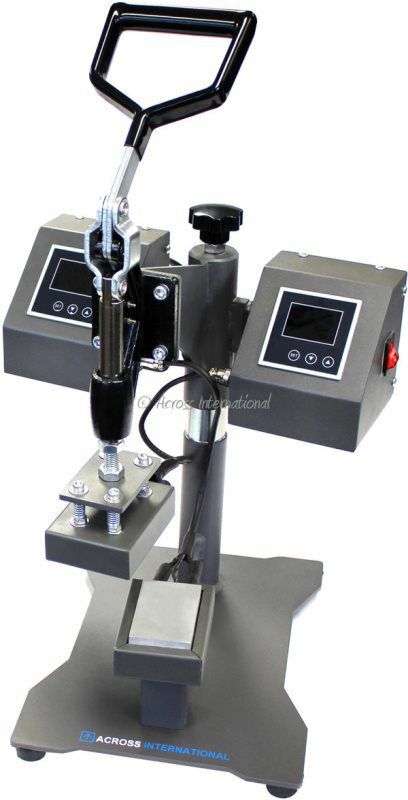 Ai SwingPress 4 x 3″ heavy duty hydraulic heated press features dual built-in digital thermometers and heaters, allowing you to precisely control the temperature of your transfer. The digital timer will automatically begin a countdown as soon as the clamp is pressed shut, and provides an audible alarm once the predetermined amount of time has elapsed. - Oil-filled pressure gauge gives you accurate pressure reading. 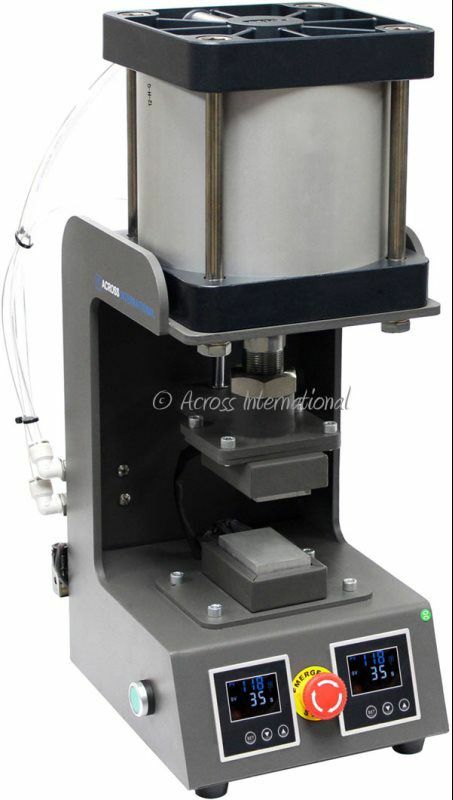 Ai HandPress 3 x 2″ swing-away heated press has a top heat platen that can easily be moved away from the lower platen. It features dual built-in digital thermometers and heaters, allowing you to precisely control the temperature of your transfer. The digital timer will automatically begin a countdown as soon as the clamp is pressed shut, and provides an audible alarm once the predetermined amount of time has elapsed. The HandPress is easy to operate, with a padded open and close handle and built-in adjustable pressure knob. 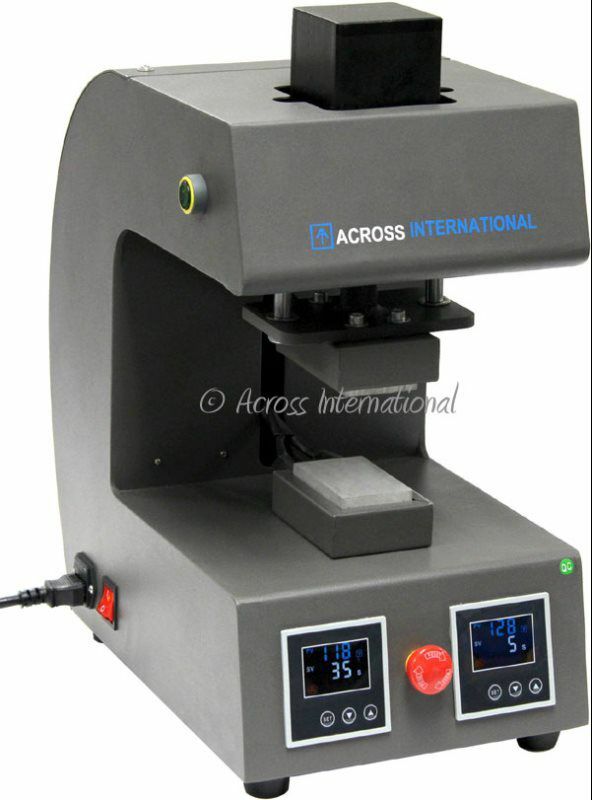 The new 2016 Ai AirPress 3 x 2″ compact pneumatic heat press features dual built-in digital thermometers and heaters, allowing you to precisely control the temperature of your transfer. The digital timer will automatically begin a countdown as soon as the unit is pressed shut and provides an audible alarm once the predetermined amount of time has elapsed. Requires an air compressor (not included) to operate. 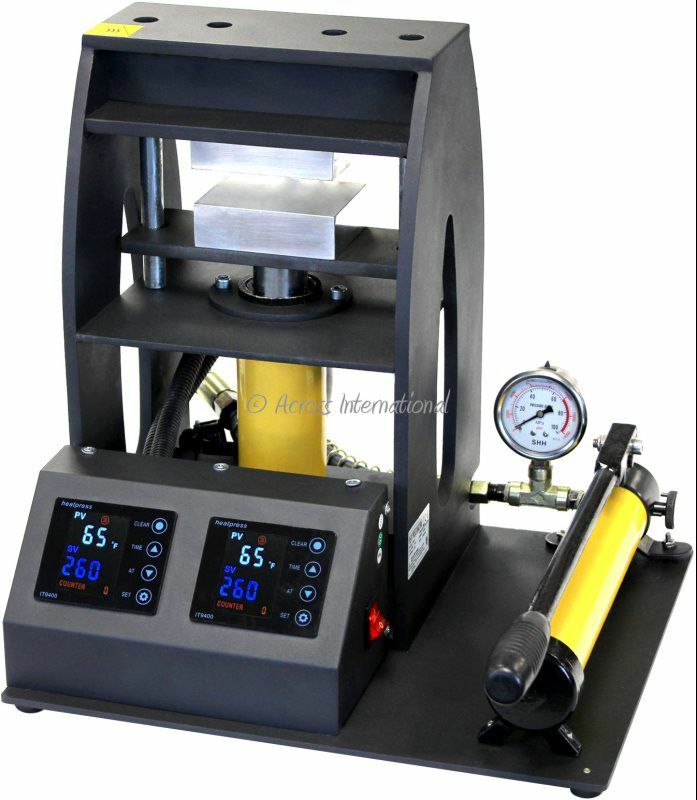 The new 2016 Ai HydroPress 3 x 2″ electrical heat press features dual built-in digital thermometers and heaters, allowing you to precisely control the temperature of your transfer. The digital timer will automatically begin a countdown as soon as the unit is pressed shut, and provides an audible alarm once the predetermined amount of time has elapsed. This is a “plug and play” unit and does not require an air compressor to operate. 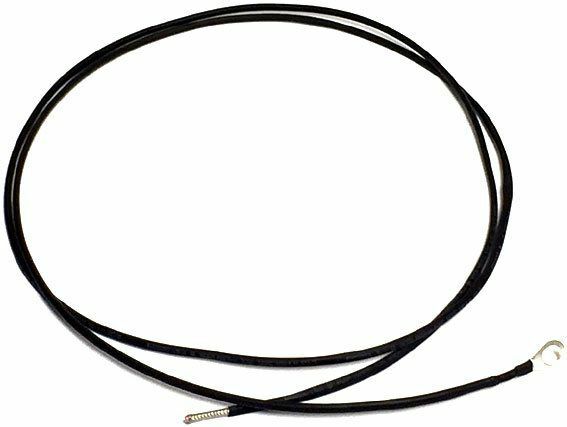 K-type thermocouple wire, fits our HandPress, AirPress and HydroPress series heated presses. 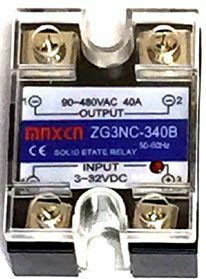 Replacement solid state relay for Ai HandPress, AirPress and HydroPress series heated presses.